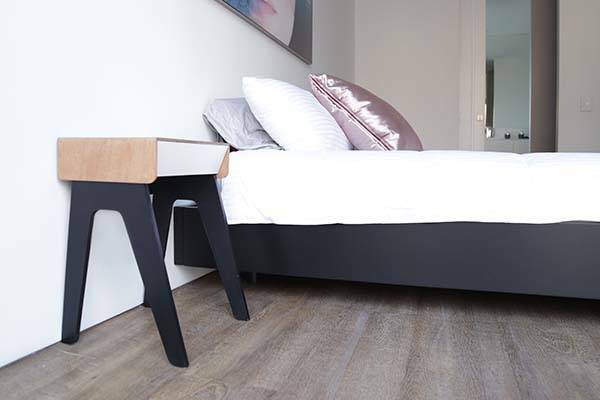 Many modern technologies have been integrated in Curvilux smart nightstand, so you can use it to securely store your valuables, effortlessly charge your mobile devices, provide illumination and more. Cool? Let’s keep checking. 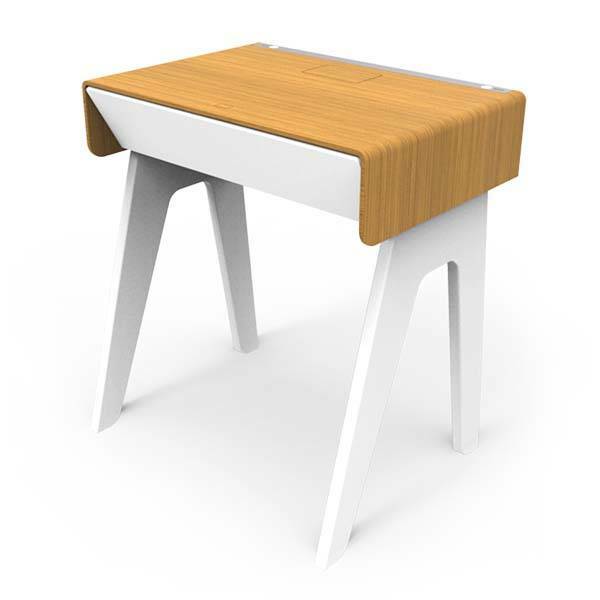 The Curvilux is an advanced and multi-functional smart nightstand that 16″ long by 11″ wide by 20 height (with legs) and weights 11 lbs. As we can see from the images, the nightstand shows off a modern, minimalistic appearance, and multiple color options ensure it blends well with different interior design styles, while versatile design allows you to directly mount it on the wall or set it up with an included stand. The smart nightstand comes equipped with a wireless charger and two USB charging ports, so you can effortlessly charge your Qi-enabled smartphone and other mobile devices. The drawer features a digital lock. Using built-in Bluetooth technology, it wirelessly communicates with your smartphone, so you can access the drawer by unlocking it from its custom app or setting an automatic distance lock. Using its high power LED lights, the Curvilux provides adequate illumination for reading, and its built-in sensor enables it to automatically adjust to the best setting. Of course, you can also use its custom app to adjust the brightness and color of the integrated lamp. Moreover, there is a bottom night light that automatically turns on at the exact moment you put a foot down. Furthermore, its integrated smart alarm clock allows you to activate a sunrise mode which wake you up in a natural way every day, and it tracks your sleeking cycles and recommend you the best moment to help you fall asleep and wake up at the best moments. In addition, built-in Bluetooth speaker with NFC lets you enjoy your favorite music when you lie in the bed. The Curvilux smart nightstand has been available for preorder for $249 USD. If you’re interested, jump to Curvilux for its more details.